To Turn the Whole World Over: Black Women and Internationalism | Keisha N. Blain, Ph.D.
Black women undertook an energetic and unprecedented engagement with internationalism from the late nineteenth century to the 1970s. In many cases, their work reflected a complex effort to merge internationalism with issues of women’s rights and with feminist concerns. 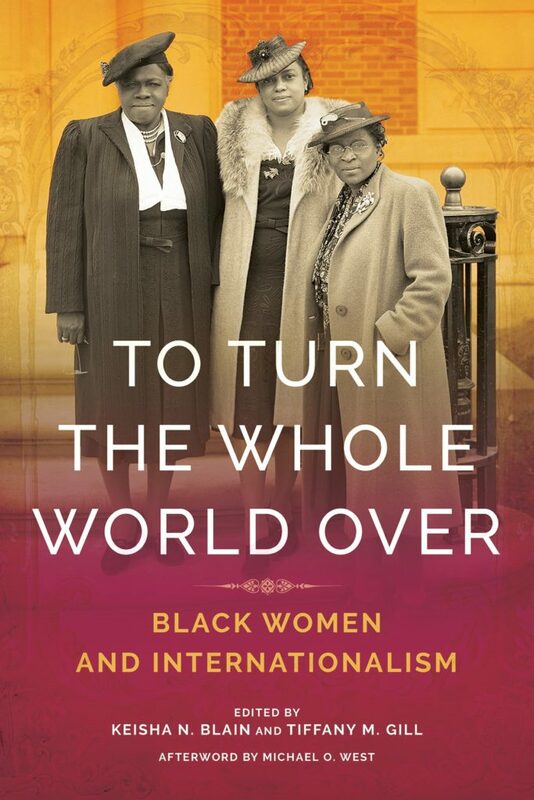 To Turn the Whole World Over examines these and other issues with a collection of cutting-edge essays on black women’s internationalism in this pivotal era and beyond.Analyzing the contours of gender within black internationalism, scholars examine the range and complexity of black women’s global engagements. At the same time, they focus on these women’s remarkable experiences in shaping internationalist movements and dialogues. The essays explore the travels and migrations of black women; the internationalist writings of women from Paris to Chicago to Spain; black women advocating for internationalism through art and performance; and the involvement of black women in politics, activism, and global freedom struggles.